McKinlay is a small town south of Cloncurry, probably most famous outside the local area for the Walkabout Creek Hotel, which featured in the movie Crocodile Dundee. 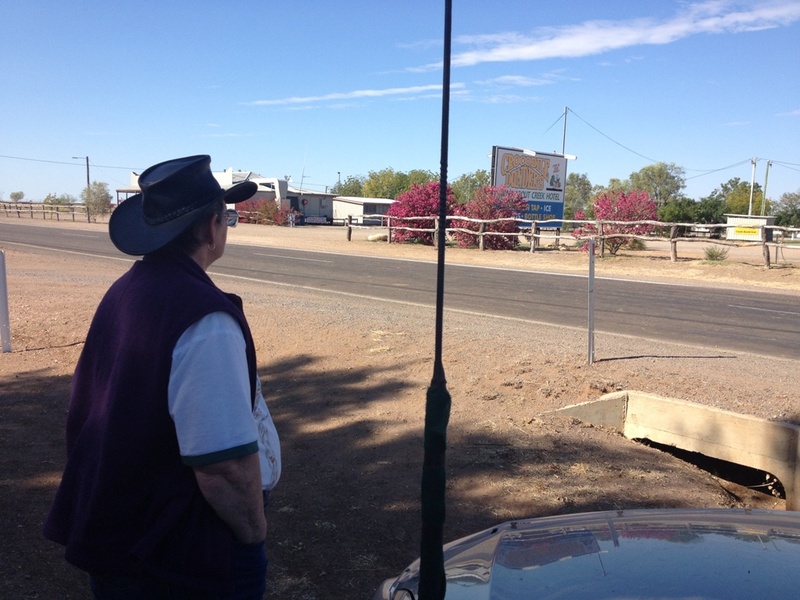 We stopped opposite it on the way to visit a couple of the local stations that Bev had tee’d up for us, and then called in for a cold drink on our way back to Mt Isa. 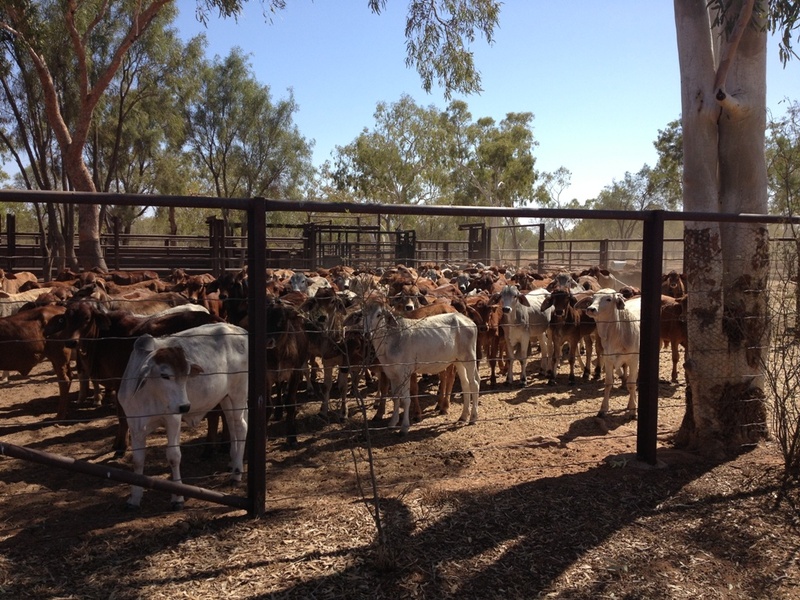 The first station we visited was Answer Downs where Julie welcomed us with a cuppa and then took us off to see the calves they had penned so they could feed them. 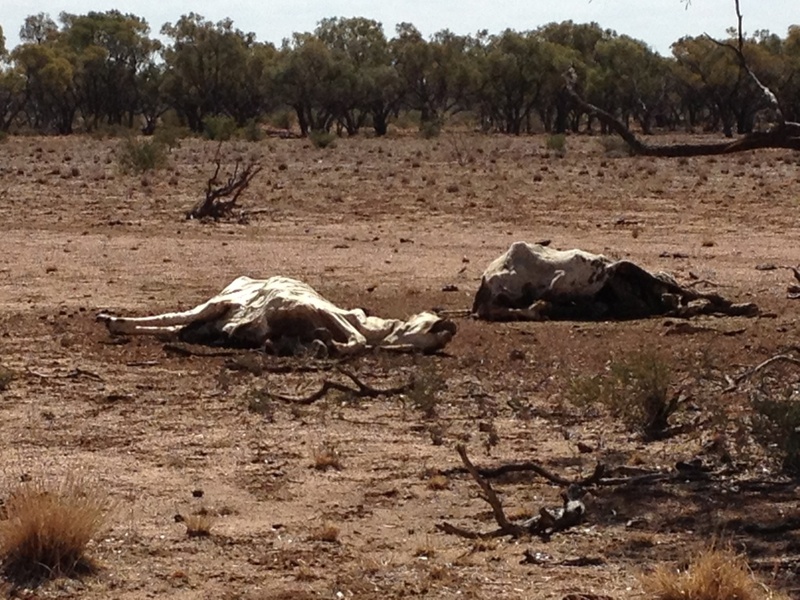 The drought is truly devastating out here and the calves would not survive, nor would the cows, if they were fed as nature intended. It’s interesting what you learn about when you are out here. For instance, although I knew cows had 4 stomachs I didn’t know that calves only used stomachs 3 and 4 until they are weaned and stomachs 1 and 2 kick in and they can find a feed and digest food without their mum. 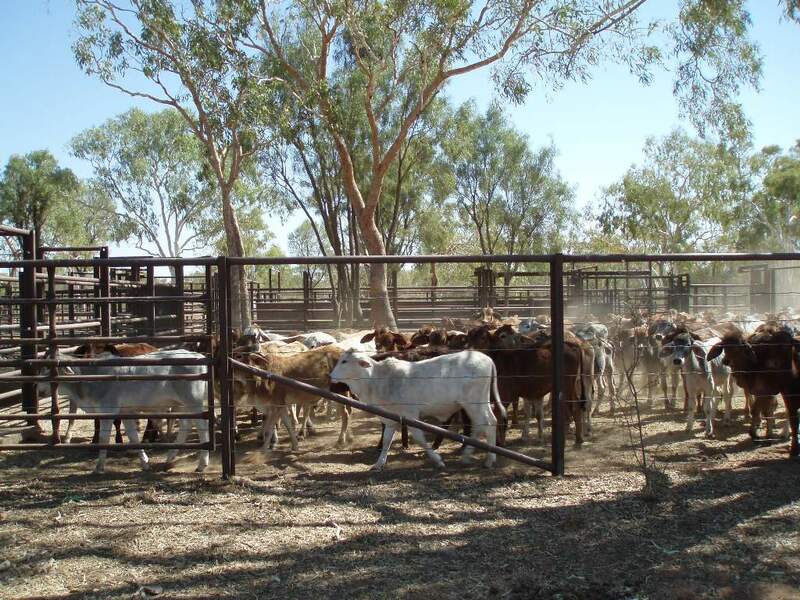 These calves are being fed until they get to the stage where they can forage for themselves. From Answer Downs we went to another station called Colwell. Luke, the manager, lent us the 4 wheel drive farm ute so we could get out to the old shearing shed and this trip really shows the heartbreak of the drought. 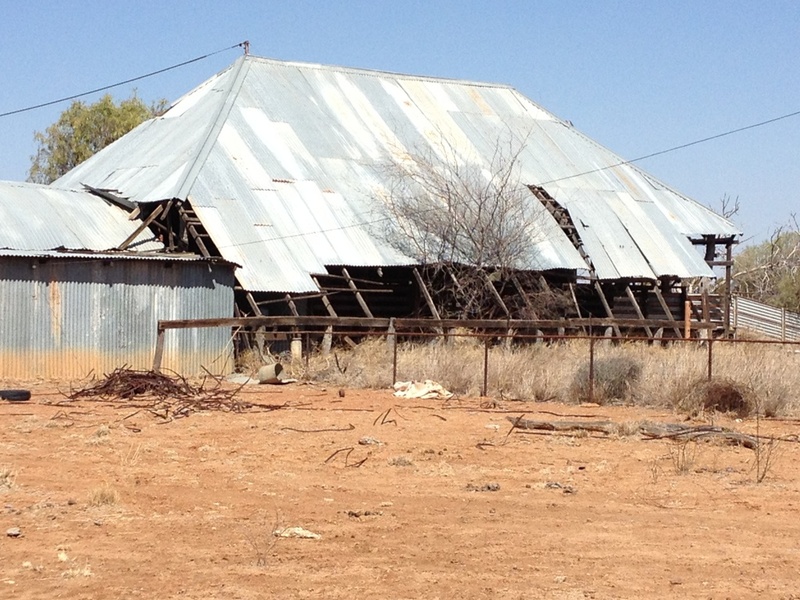 The shearing shed hasn’t been used for many years as the livestock out here now is cattle and not sheep. There was also a little cemetery there where previous owners and their families are buried. 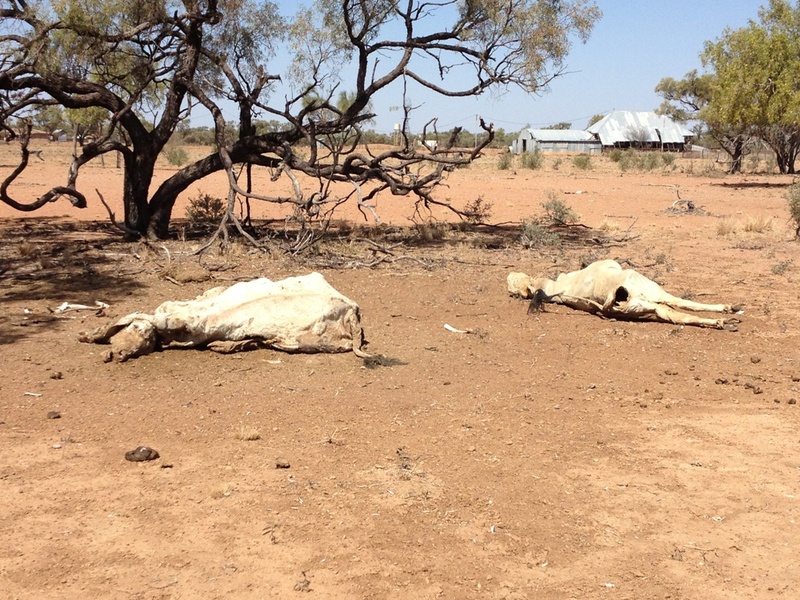 It is truly heartbreaking to see the country so dry and the cattle with their skin hanging off their bones and it must be devastating for the station owners. They talk about the tyranny of distance – well this is one method of transport that brings those places closer together. This photo was taken at Colwell Station. 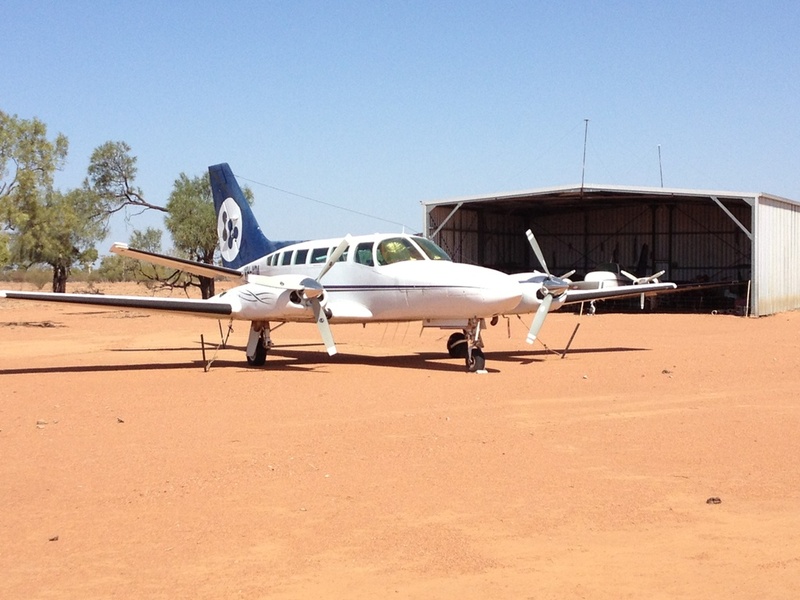 We left Colwell Station and travelled back through McKinlay to Cloncurry and Mt Isa – probably a round trip of about 500 or 600 kms. 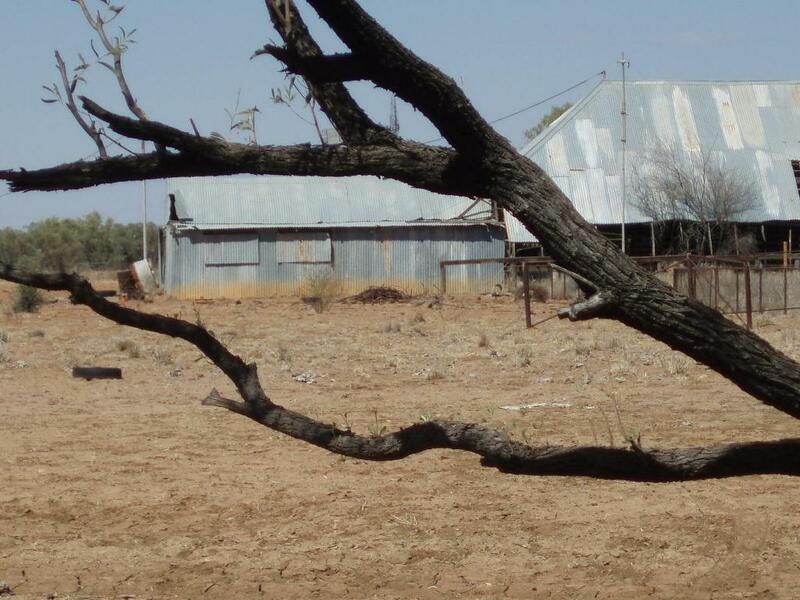 McKinlay is only a small town, population of 20 people. 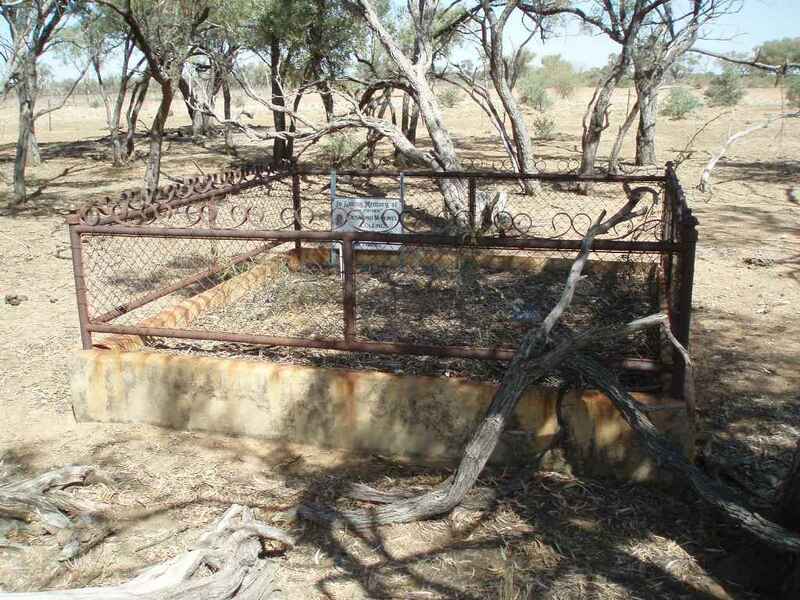 John McKinlay discovered the area 150 years ago when he was searching for the ill-fated expedition of Burke and Wills, and the town was established in the 1900’s when a bore was sunk on the edge of the town to provide a permanent water supply. It was a Cobb & Co staging post. 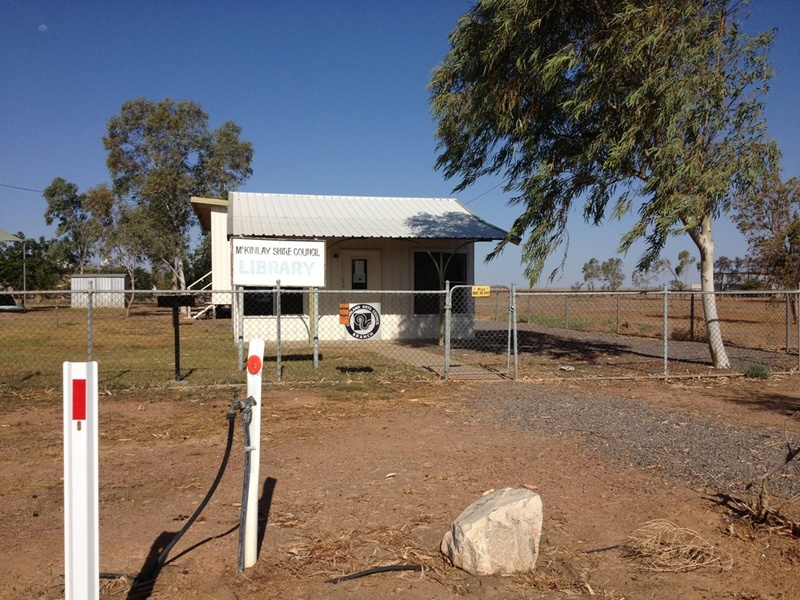 It’s claim to fame today, apart from the Walkabout Creek Hotel, is that it is home to the smallest public library in Queensland. 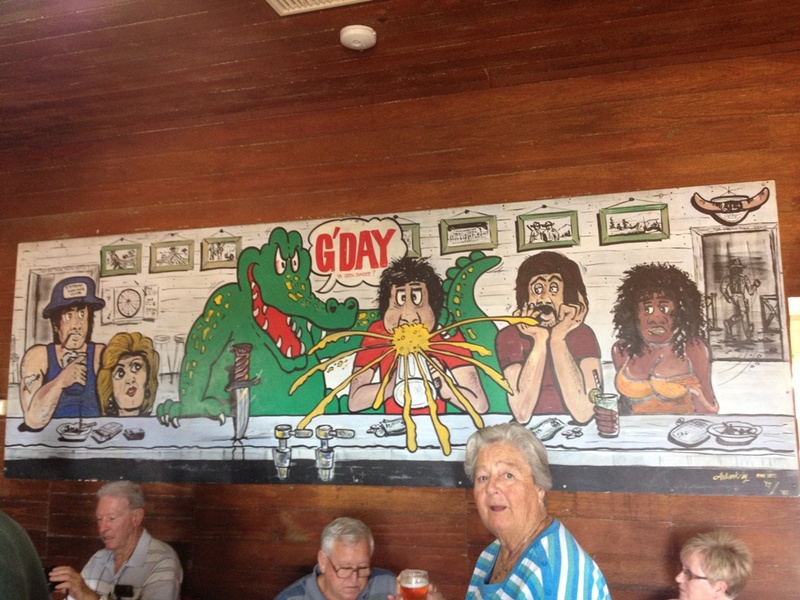 Another wonderful experience from my time in Mt Isa. 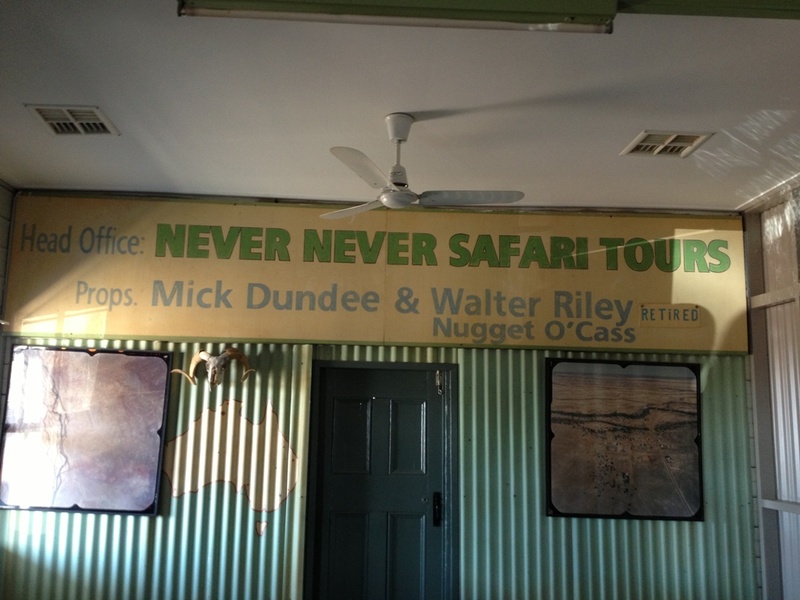 Categories: Camping, Travelling | Tags: Answer Downs Station, campervans and motorhomes, Colwell Station, Crocodile Dundee, drought, McKinlay, travelling, Walkabout Creek Hotel | Permalink.